Adult Services – ©2019 United Cerebral Palsy Association of Greater Suffolk, Inc.
UCP of Long Island’s Day Habilitation Services are designed to promote personal choice and expression, community inclusion and attainment of individually identified life goals and aspirations. Services focus on the interests and strengths of each individual while providing the supports needed for success. Skill development is emphasized in areas including social skills and communication, life skills and community routines, basic safety skills, personal and health care, money management, travel training and career and work exploration through volunteering. 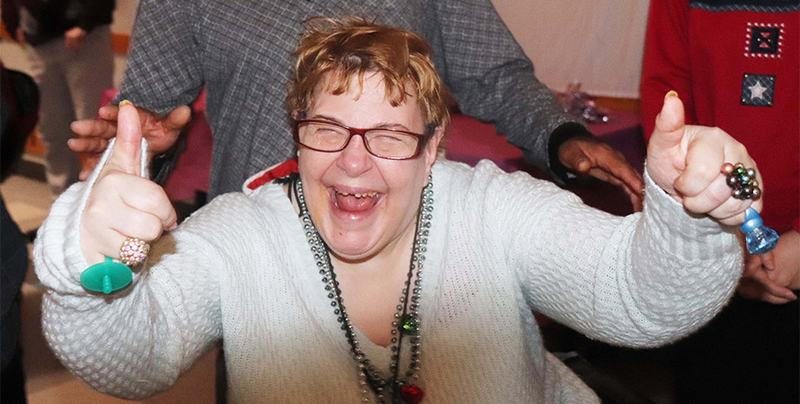 These day habilitation programs provide a variety of community-based and site-based experiences such as computer training, adaptive exercise, healthy food choices and preparation, sensory activities, music enrichment, self-advocacy and volunteering. 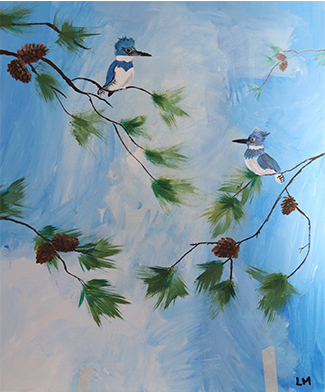 In this program, part of the Independent Living Day Hab program, participants learn to share their thoughts and feelings through painting in an adapted studio. Individuals in the program have created beautiful works that have been featured in art exhibits and at UCP of Long Island special events. Provides a community-infused experience through which individuals learn to safely navigate and be part of our community. Volunteering is a significant part of the daily experiences offered.